Thomas Aquinas (1225-1274) was an Italian Dominican friar and priest and an immensely influential philosopher and theologian. He is considered by the Catholic Church to be its greatest theologian and one of the thirty-three Doctors of the Church. In the 1200’s Thomas Aquinas published a commentary on the book of Corinthians. It’s a thorough treatment that shows us how he understood head covering and how it was practiced in the middle ages. To set the stage, Aquinas believed the focus of 1 Corinthians 11 was issues related to the Eucharist, and head covering related to proper dress during this practice. He said “[the Corinthians] erred in clothing, namely, because the women gathered for the sacred mysteries with heads uncovered”. 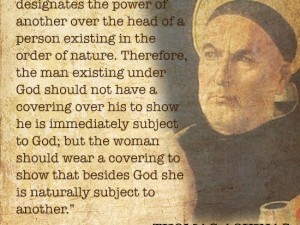 So for Aquinas, head covering was a church issue. He gave us two reasons to explain what it was that head covering symbolized. The first reason was “because a veil put on the head designates the power of another over the head of a person existing in the order of nature. The second reason he gave was, “to show that the glory of God should not be concealed but revealed; but man’s glory is to be concealed.” So head covering was a symbol that you were subject to another in nature and it was also meant to conceal the glory of man. Since head covering is for when one “prays or prophesies” (1 Cor 11:4-5), let’s now take a look at how Aquinas defined those terms. 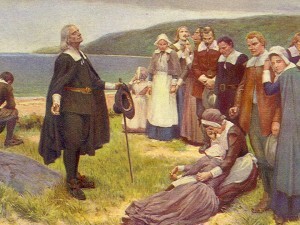 He saw prophecy as when “man announces to others what has been divinely revealed to him” and when “he utters things which have been revealed to others; hence, those who read the prophecies or other sacred scriptures are said to be prophesying.” So prophecy was divine revelation and Scripture reading. For prayer, Aquinas saw it as public prayer, not that which is done privately. In his writing he deals with several objections to head covering that are based on contemporary situations where head covering doesn’t seem to be followed. He gives answers to all these objections by showing how they are not breaking the head covering command. One such issue was that some people in church did not pray with heads covered as they wished “to pray more secretly”. Aquinas says this type of secret prayer is not what Paul was referring to but that which “is public and is offered to God in the person of the entire Church”. Other situational objections he dealt with were bishops who would teach (outside of church) with a miter on their heads. Aquinas responded that bishops only needed to uncover their heads when they recite “the Sacred Scripture in the church”. He also dealt with some who chanted psalms in choir uncovered and female nuns who had shaved heads. In every situation he explained how it did not contradict what was taught in 1 Corinthians 11 rather than saying what anyone did was wrong. 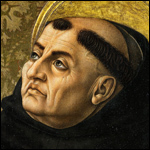 Speaking of shaved heads, Aquinas stated that “it is natural for a woman to have long hair”. He saw how women cared for their hair as evidence of this by saying, “a definite inclination is present in women to take care of their hair. For this is true in the majority of cases that women take more pains with their hair than men.” So woman is to have both “a natural and artificial covering” and if she was “deprived of an artificial covering” it would be dishonorable, just like if her head was shaved. Another interesting point in his commentary is 1 Cor 11:10 where it says women are to cover “because of the angels”. Aquinas gives two options for interpreting this passage. One is to see the angels as angelic beings and head covering is a way to present ourselves “honorably and ordinately [in] reverence to them.” The second way is to see “angels” as referring to the priests of the church in which head covering would serve a dual purpose. The first would be “as reverence towards them” and the second “for their safety, lest the sight of a woman not veiled excite their concupiscence.” So head covering displays reverence and modesty. The final verse regarding head covering (“we have no such custom, nor do the churches of God”) “silences the impudent hearers” according to Aquinas. It shut down all further debate regarding this practice to show that the churches were unified on this issue. Aquinas paraphrases this verse by saying “we Jews believing in Christ do not have such a practice, namely, of women praying with their heads uncovering, nor do the churches of God dispersed among the Gentiles. Hence if there were no reason, this alone should suffice, that no one should act against the common custom of the Church”. All quotations can are from “Super I Epistolam B. Pauli ad Corinthios lectura” (translated into English by Fabian Larcher). It can be read online here. Thank you for this! It’s profitable to read what various Christians believed throughout church history. of intellect. For Aquinas, women are merely a means to an end, their purpose is to reproduce, and women are misbegotten and defective (Summa Theologica I q. 92 a. 1). This should encourage everyone to look to the Scripture for study, and not rely on historical practice or teaching on any subject. It is wonderful to find support in historical writings for what we want to believe, or practice. But it should also make us cautious about following any given teaching without searching the Truth for ourselves. Many make up their minds, and only look for support for their position, rather than seeking to remain a learner, continuing to seek the mind of Christ. 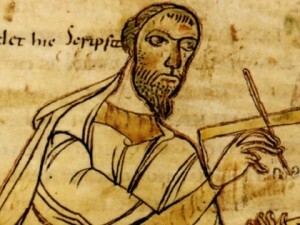 It is indeed difficult to find ‘the mind of Christ’ in writings when the man himself never wrote anything down, and one has to rely on the writings of those who never meet him. We believe the Scriptures are the inspired Word of God and that everything in them is true and can be trusted. It doesn’t matter that Christ Himself did not write it down. The inspiration of the Holy Spirit ensures that everything in the Scriptures is what God wanted it to be, what He wanted to say to us, that they represent “the Mind of Christ”. They are profitable for “doctrine” among other things. “All scripture is given by inspiration of God, and is profitable for doctrine, for reproof, for correction, for instruction in righteousness:” II Timothy 3:16 KJV. That sort of sounds like what this site is doing about this doctrine. I understand you believe , but belief is not knowledge. Do you believe things you don’t know or know things you don’t believe? I find it sad that so few women in the Catholic Church follow Aquinas on this. Like every other church, headcovering was the norm for Catholics until the 20th century. Actually according to my memory (faulty as it may be) Catholics continued head covering (always veils and only for Mass) for a number of years after Protestants stopped (generally hats in the church I was in, kerchief type of Mennonite style in other churches.). And there is a growing movement in that church towards covering (veiling for Mass is the term they use) In fact when God was first starting to speak to me about head covering and I was about to “take the plunge” it was some Catholic FB friends who encouraged me and shared they also covered or were about to go back to it. They have their own FB page for Catholics. When you see God moving at the same time in both Catholic and a variety of Protestant denominations and non denomination churches, in the same issue, this give me great hope that a great change will be made. And that covering for church will return to be the norm, rather than some thing just done in a small number of churches. That is good, but you still don’t see many women covering in most Catholic churches.